If its in your garden its not the countryside Dyna, its a weed and thus you can get viscious. I am back at work this week after having a good 10 days off. For once I was organised, I know, hard to believe but it was all sorted. 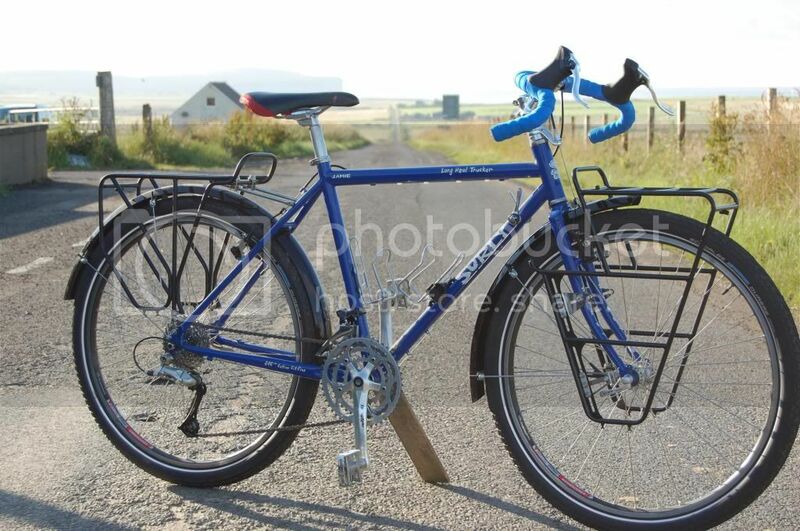 I had fitted the new front rack to the Long Haul Trucker and rather than my lately overnight/two day tours I would take my time and take three, maybe four days to get down, camping along the way. Well the day before I was due to leave one of the front shocks on Heathers car collapsed onto the tyre, luckily just at home not on the open road. Typically on a Saturday evening, car undrivable. I replaced the shock and sundry other bits but this took me until late on Tuesday evening by the time the shock was ordered on Monday and then changing spring etc. So there went the ride as otherwise I wouldn't be down there to have much time with the family. 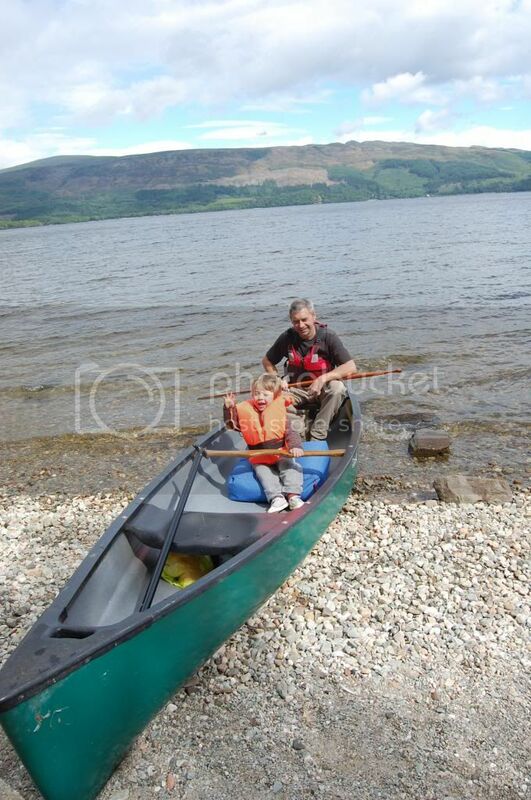 Anyway it was a great holiday otherwise with a good few days and evenings canoeing, visiting friends etc. A few picnics on a couple of the islands and Caleb loving being in the canoe. Looking forward to Glencoe as I haven't been on the Pugsley for a couple of weeks now but I may head over to Farraid head this weekend if I get a bit of time on Sunday. I may head over to Farraid head this weekend if I get a bit of time on Sunday. Aren't you coming to the 4 Abbeys run on Saturday ? "Pretty sure I'll be there on the Merckx." Velo already sent me a reminder just know. I, for some unknown reason thought it was next month. I still want to be there and will speak with the powers that be. Due to not being on the right weekend I wont be able to leave work early so will probably have to leave here around 3 am and drive down maybe get an hours kip in the car before riding. Wont be in the best condition but its not a long ride and really want to be at this one. I'll see what I can sort. 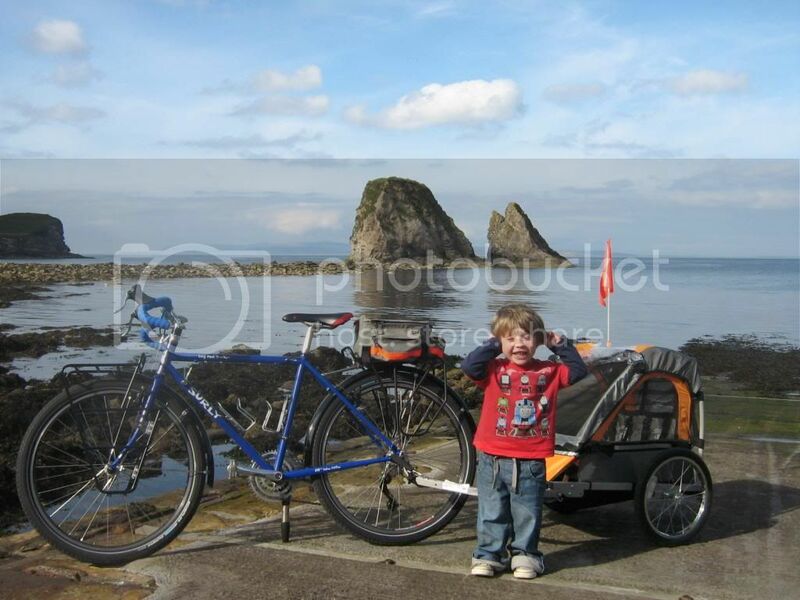 Missed the ride but Sunday I went for a jaunt round the coast with Caleb in his trailer. Many stops for drinks and biscuits. Last edited by dyna-ti on Thu Aug 29, 2013 12:46 am, edited 1 time in total.